Based on C.H.J. Snider's "Schooner days"
C.H.J. Snider (1879-1971) chronicled this era in his 1,303 "Schooner Days" columns for Toronto's The Evening Telegram between 1931 and 1954. 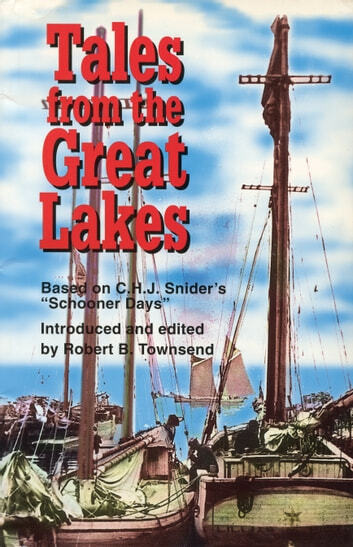 A great marine researcher and artist, Snider himself worked aboard schooners in his youth and studied first-hand the development of the Great Lakes region. Coupled with Snider's writings are those of Robert B. Townsend, who, besides introducing Snider's stories, adds some of his own.